Gleam in stone is a real slinger of a slide. 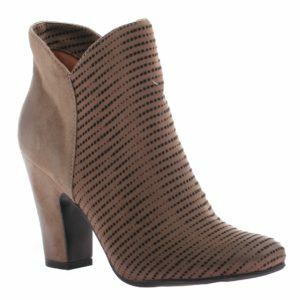 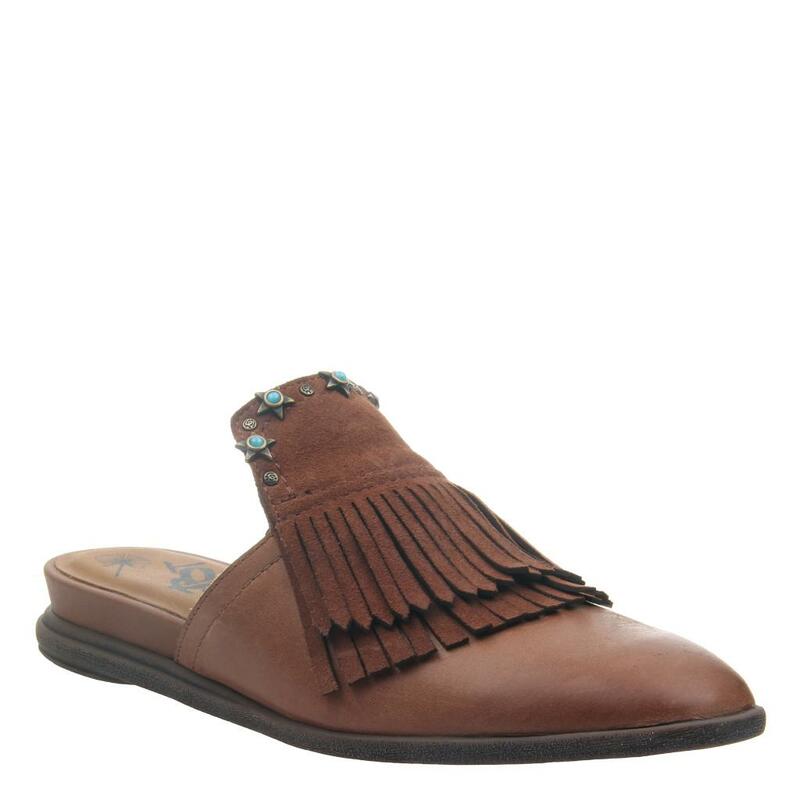 This straight shooter features a squared toe and western embellishments to satisfy every California craving. 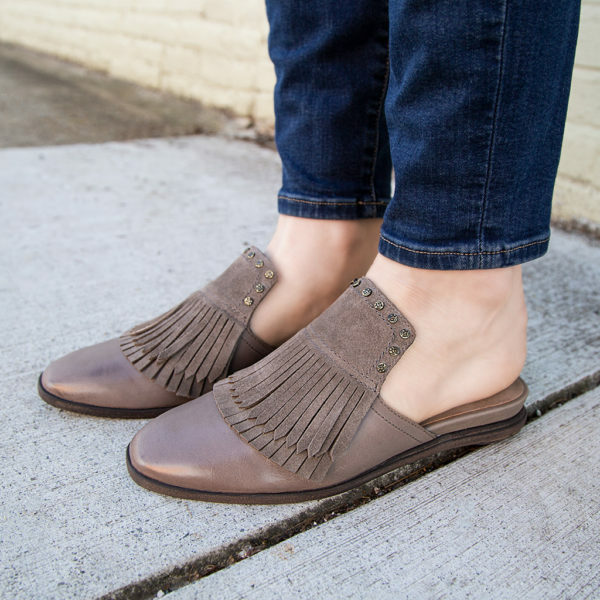 Crafted with authentic leathers and antique hardware, Gleam is an artisanal take on the classic mule.